This was a big month for Andavo Travel’s VP, Kirsten Little, as she celebrated 20 years with our company! We believe it says a lot about Andavo as a company that employees are happy to stay this long, and also says a lot about Kirsten’s loyalty that she’s remained here and given so many years of devoted service to Andavo. While Mike and Camille Cameron are the owners of Andavo Travel, Kirsten is the one that runs it on a day-to-day basis. Potential ICs that are interested in joining Andavo as their host agency are often routed to Kirsten on their way to signing up. She continues to be a knowledgeable resource to them once they join the network as well. 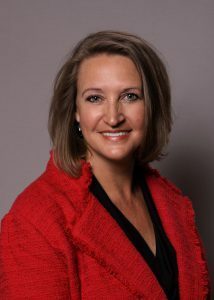 Kirsten started in the travel industry in 1987. She worked as an on-site agent for an oil company. Over the years she expanded her knowledge in corporate travel, moving into support roles and eventually into management. Kirsten worked as the implementation manager for 5 years, working with corporate contacts, and the sales, account management, and operations teams. Her experience gained her knowledge in GDS, online booking tools, HiMark and iBank reporting tools, and Trams. In 2010 Kirsten transitioned to the leisure division as the Independent Network Manager. Today, she is the Vice President of Operations & Business Development for Andavo Travel and her main responsibilities are vendor relations and business development. Anyone who has worked at all with Kirsten knows we are lucky to have her. Here’s to 20 more!